Orthorexia is described as a strict, health-oriented eating pattern with clinically significant impairment in everyday life. Its prevalence varied widely in previous studies due to heterogenous assessment procedures. Determinants for the eating pattern and its prevalence have not been investigated in larger representative studies. A population-based telephone survey in Germany was conducted in n = 1007 participants. The Dusseldorf Orthorexia Scale with a cut-off of 30 was used to assess orthorexic behavior. Determinants of orthorexia, including personal BMI, depressive symptoms Patient Health Questionnaire and socio-demographic variables were analyzed in multivariate regression. The prevalence of orthorexic behavior was 6.9%. A higher rate of orthorexic behavior was observed in heavier, less educated, vegetarian and more depressed participants; in multivariate analysis only associations to lower educational attainment, a vegetarian diet and depressive symptoms remained. No gender or age differences were observed. The study results show that orthorexic behavior may indeed by associated with significant strain and psychological distress. 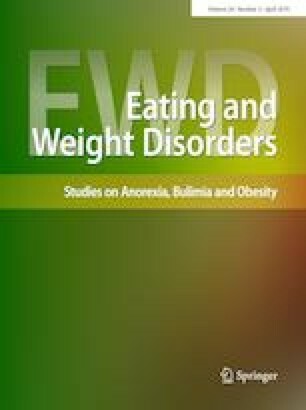 Current debates on the criteria of clinical significance of orthorexic behavior call for new instruments and further investigations, to elicit the prevalence of people with orthorexic behavior that classifies as a pathological eating disorder. This work was supported by the Federal Ministry of Education and Research (BMBF), Germany, FKZ: 01EO1501 and the nutriCARD competence cluster (Grant number: 01EA1411B). The funding bodies had no role in the study design, collection, analysis or interpretation of the data, writing the manuscript, or the decision to submit the paper for publication. All procedures performed in studies involving human participants were in accordance with the ethical standards of the institutional and/or national research committee and with the 1964 Helsinki declaration and its later amendments or comparable ethical standards. The board of Ethics at the Medical faculty (University of Leipzig, IORG0001320 and IRB00001750) approved the study protocol.